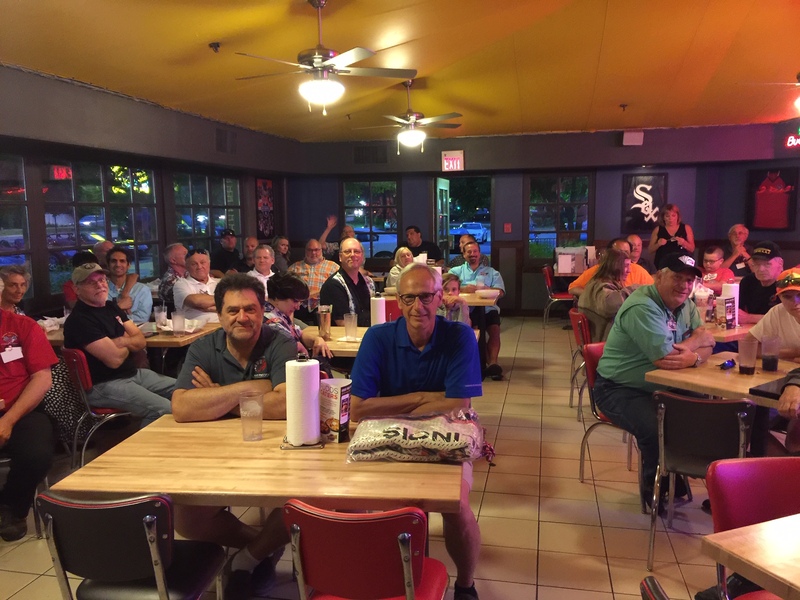 The Viper Owners Association (VOA) of Illinois meetings are a really great way to get involved with the club! The purpose of the meeting is to share news and bring members together! And of course, it gives you another excuse to get the car out and share in some good food and entertainment! Also, if you are a new member or it's simply your first time attending a meeting - you will receive a very nice free gift!! The VOA IL is a very inviting group. And it's a spectacle to see so many Vipers and fellow Viper owners in one place! Hope to see you there! Club meetings are held March through October, as those are our warmer drivable months. It's simple to remember, meetings are held on the first Wednesday of every month. We do occasionally switch up the month of July due to the celebrations on Independence Day. Please check the calendar to plan accordingly. Meetings begin at 7:30pm and they typically end before 9:00pm (but people are free to hang out). Most people begin to arrive a little earlier, around 6:00-6:30pm so that they can chat, peruse the cars, grab a bite, and get comfortable! While club meetings can be hosted at different locations at times (check your calendars for special arrangements). 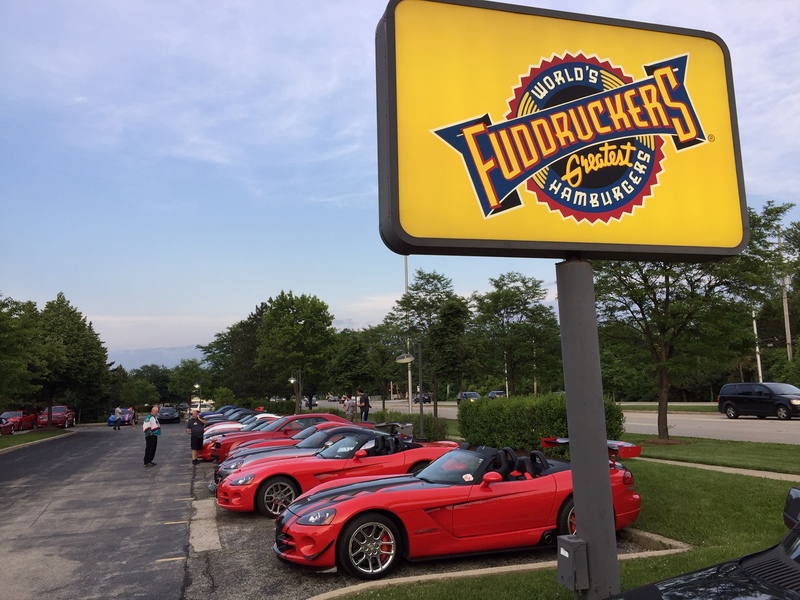 Our home for most meetings now is Fuddruckers in Schaumburg. We're headed back to Fuddruckers! Where we have our own meeting room towards the back and we'll be able to see our cars parked right outside the window! All monthly meetings are a cruise night and if you can, weather permitting, bring your car! We'd really like to try and beat our old record of 65 Vipers at one meeting. Fuddruckers provides burgers, chicken, salads and great milk shakes and cookies! Seating is not assigned, just find a free spot and it's yours. Dress is casual, but Viperware is always a plus!